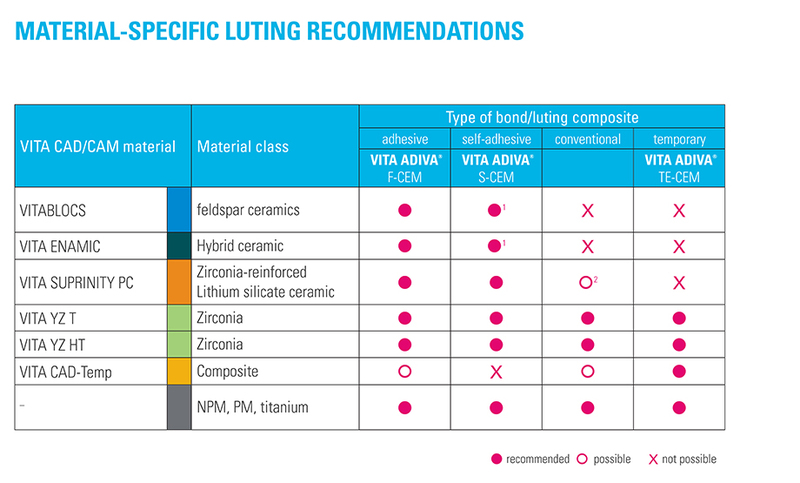 The full-adhesive luting system with perfectly matched components for conditioning tooth substance and restorative material. is a 37% phosphoric acid gel for etching tooth enamel for adhesive bonding of restorations to natural tooth substance. Also suitable for the total-etch and selective-etch techniques. is a dual-curing bonder system. 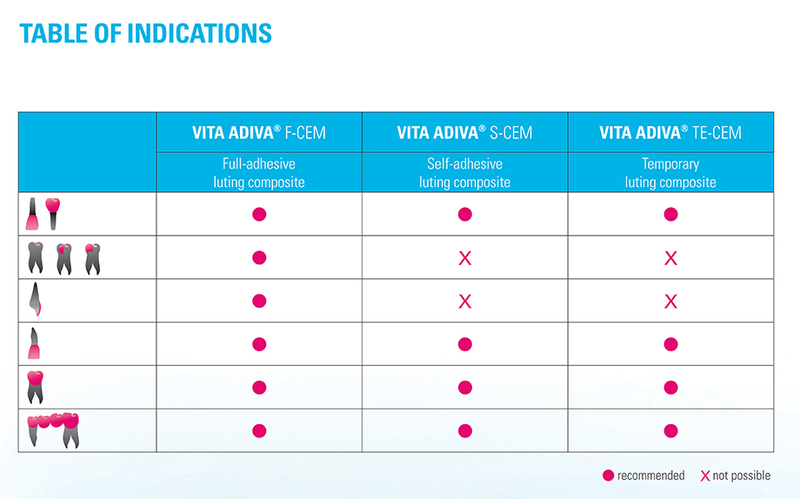 VITA ADIVA T-BOND provides an excellent bond between the luting composite and etched enamel, as well as dentin. 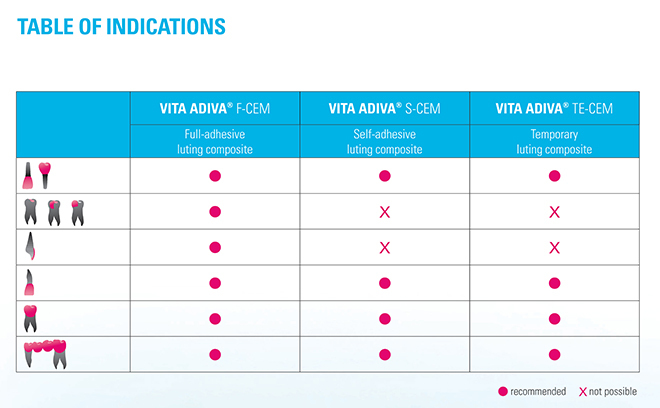 is a 5% hydrofluoric acid gel used for etching restorations made of feldspar, glass and hybrid ceramics, to achieve a micromechanical bond between the restoration and luting composite. Intended for extraoral use only! 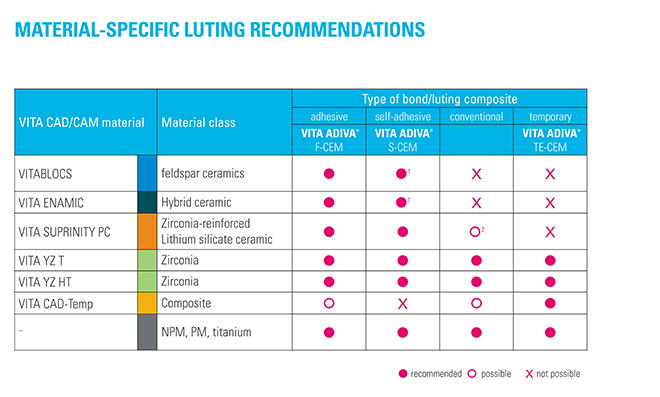 is a dual-curing, full-adhesive composite that's suitable for permanent luting of restorations made of feldspar, glass and hybrid ceramics, zirconia, composite and metal.